In Wachesaw Plantation East, architect Clyde Johnston has created an alluring taste of Scottish design. Located in the scenic fishing village of Murrells Inlet, South Carolina, just 20 minutes south of the Myrtle Beach International Airport, Wachesaw East Golf Club is a championship eighteen-hole facility built on the site of a former rice plantation. 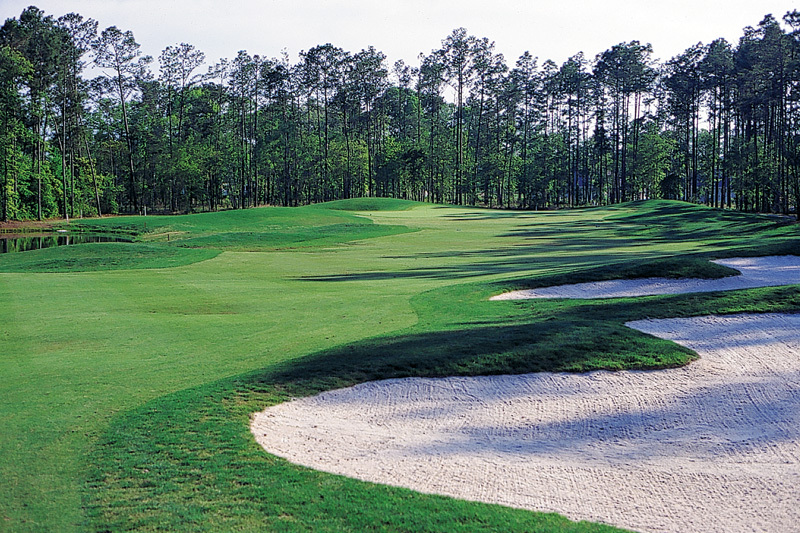 Its exhilarating design has been the site of four nationally-televised, professional golf tournaments on the LPGA Tour: the 1997 Susan G. Koman International, the 1998 & 1999 City of Hope Myrtle Beach Classic, and the 2000 Kathy Ireland/Greens.com Classic. Wachesaw East golf offers a strong taste of Scottish design is evident in the traditional mounding and rolling fairways that lead to the fast and true Tif-Eagle greens. Freshwater lakes and scenic wetlands provide a tranquil background to enhance your golf experience while strategically-placed bunkers awaken you to the course’s challenge. With five sets to tees and a professional practice/teaching facility, Wachesaw East Golf Course provides an enjoyable experience for any level of golfer. Golf Digest’s “Places to Play” gave Wachesaw East Golf Course a four-star rating and the readers of Golf Digest chose Wachesaw Plantation East as one of the top 50 courses in the United States for customer service. 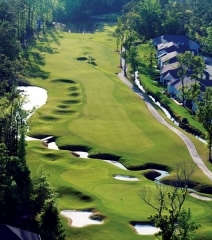 Book golf club tee times or golf packages for the Myrtle Beach golf course Wachesaw East Golf Course with On the Green Magazine.